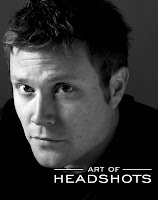 My experience has convinced me that first and foremost, your headshot should really look like you. It’s frustrating for casting people to visualize you in a role and then, when you walk into the audition room, you look like a different person than your headshot. When that happens, the director is distracted — and probably disappointed — before you even get a chance to audition. This is crucial for everyone but is more frequently a problem for women, who often like to choose their most glamorous shot. Second, it’s important that you look open and available in your headshot. The focus should be your eyes. If they are alive and connected, the director or casting director will get a feeling for who you are and will feel confident that you may also have the ability to connect with an audience and your fellow actors. Only then will the director or casting director begin to visualize you playing a given role, and you will likely be called in for an audition. To get a headshot where you look open, relaxed, and available, it’s important to interview your photographer so that you can get a feel for his or her personality. If you’re comfortable during your photo shoot, you will have a good time, and this will translate into headshots that stand out.